Exempt property is property that you may protect from seizure in a Chapter 7 bankruptcy. Filing under Chapter 13 bankruptcy protection, you set up a repayment schedule for unsecured debts, and a court-appointed trustee can only consider non-exempt assets when drawing up the plan. The law allows exemptions in order to provide you with a minimum of assets and property, to will allow you a fresh financial start, and provide a minimum standard of living for you and your family while you are going through the bankruptcy process. 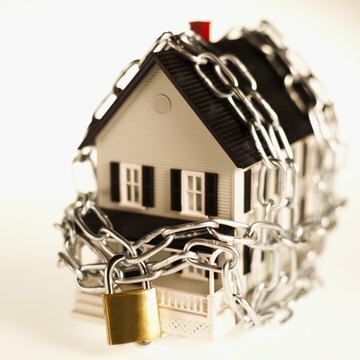 The state and federal exemptions apply to Chapter 7 or Chapter 13 -- there is no difference between the two bankruptcy types on which property you may protect. According to Michigan law, you can protect up to $35,300 of equity in your principal residence. This amount rises to $52,925 if you are 65 or older, or if you are disabled. Michigan also exempts 100 percent of your IRA or other retirement plan, as well as your life insurance cash value. Michigan also exempts up to $3,525 in aggregate value in personal goods, including furniture, clothing, appliances and books, and up to $550 for any one item. You may protect up to $3,250 of equity in a car, and up to $600 in a computer system and accessories. Up to 60 percent of wages are exempt, if you are a head of household; that amount falls to 40 percent for all other members in a household. Michigan also exempts disability, workers' compensation, unemployment and veterans benefits. The federal exemption schedule varies from the exemptions set out by Michigan law. According to federal law, you may exempt $21,625 of equity in your home, no matter your age. The federal vehicle exemption is $3,450; household goods are exempt up to $11,525, and jewelry up to $1,450. There is no exemption for wages. By the wildcard exemption, you may protect any asset up to $1,150 in value, including personal property, real estate or cash. Similar to the Michigan law, disability and other non-wage benefits are fully exempt. Debtors filing for bankruptcy should review both the Michigan and federal exemption schedules carefully before filing a bankruptcy petition. In Michigan, you are allowed to choose either schedule, but you may not mix exemptions from both. Which schedule is to your advantage depends on which assets you have. The federal schedule will benefit you, for example, if you have a lot of expensive personal belongings to protect; Michigan allows a higher homestead exemption, but offers no wildcard. FosterSwift: 6th Circuit B.A.P. : Michigan's Bankruptcy-Specific Exemption Statute is Unconstitutional.